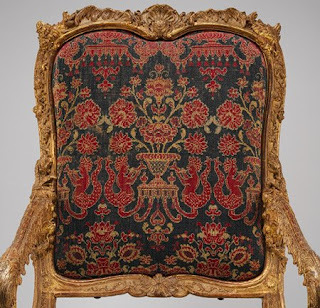 The frame of this Antique Regency style armchair is elaborately carved with a variety of ornaments such as shells and lambrequin motifs, floral trails, and openwork foliage of the highest quality. 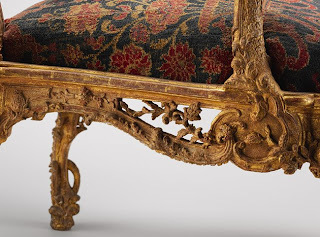 Its arched back, scrolling arms, and incurving legs are clearly a departure from the severity of the Baroque style. 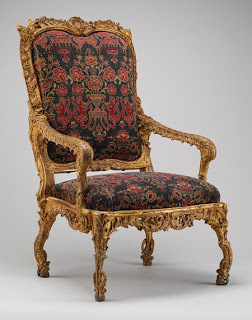 They serve as precursors of the emerging Rococo style with its curvaceous forms. 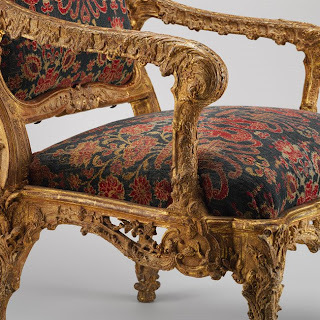 The chair's drop-in seat and back facilitated the work of the upholsterer in that the fabric could be changed according to the season and did not have to be nailed into the wooden frame. what a beautiful chair that is. is it made from wood?